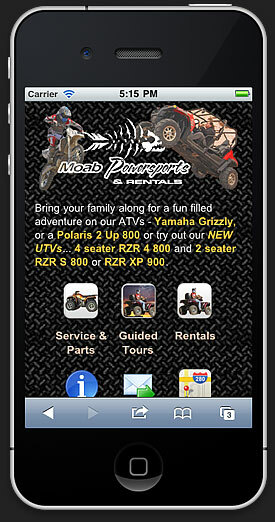 An on-line “brochure” of a Moab area vacation/nightly rentals/lodging. Color co-ordinated with and feature subset of desktop website to maintain brand awareness. 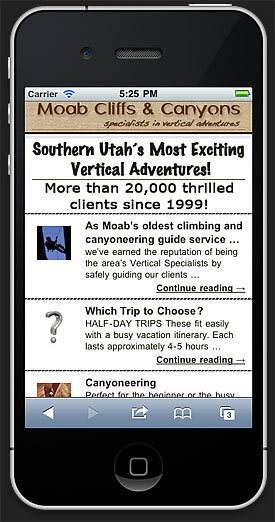 An information/lead gathering site for a real estate company in Southeast Utah. 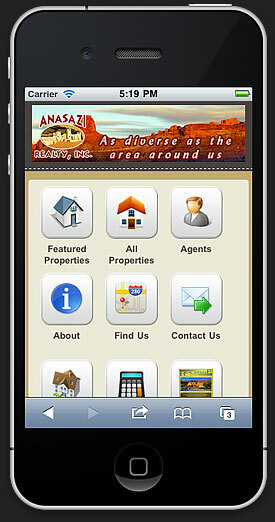 Features houses, land and businesses for sale. 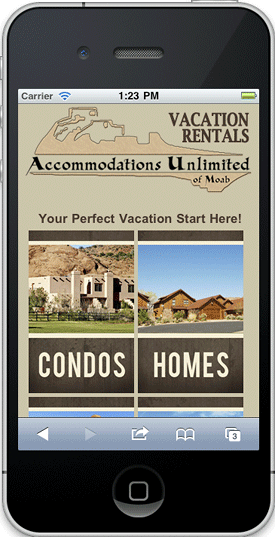 Using SEO RETS software it contains listings for all properties in Southeast Utah. The SEO RETS implementation includes a high level of customization using PHP, jQuery, HTML and CSS. Color co-ordinated and feature equivalent with desktop website to maintain brand awareness. 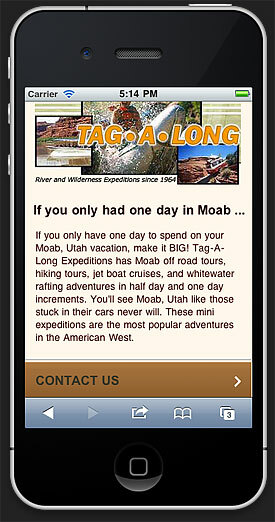 An information site accepting reservations for a Bed and Breakfast in Southeast Utah. Color co-ordinated and feature equivalent with desktop website to maintain brand awareness.